Add all of your ingredients into your blender and mix on high until everything is combined and smooth. 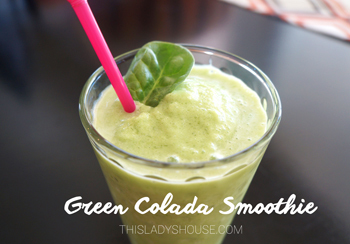 If you want your smoothie to be a little bit thicker, add more ice and blend on high again. Serve immediately and enjoy!